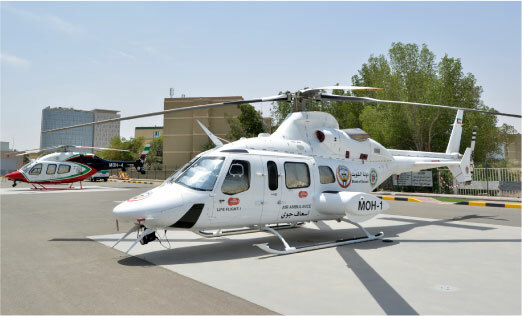 AI-Ahlia Integrated General Trading & Contracting Co.
Alghanim International has built an exclusive Air Ambulance Base at Sabah Medical area – centrally located in the middle of hospitals area in Shuwaikh. It is fully equipped with a helipad, hangar for helicopter maintenance, furnished accommodation for pilots and medical teams and all necessary resources and services arranged within the purpose built facility. This special project is developed with coordination from various authorities such as ministry of health, civil aviation, and ministry of defense, etc. 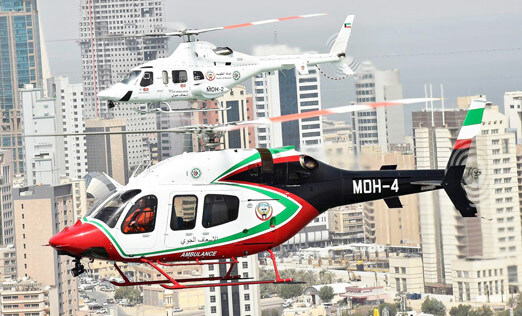 The ministry of health has prepared specially equipped helicopters to transport patients or people hurt in accidents from the scenes to hospitals or health centers for which the project has another 4 helipads all over Kuwait (Adan, Mubarak Al Kabir, Jahra and Farwaniya), thus shortening transfer time needed and evading road traffic. 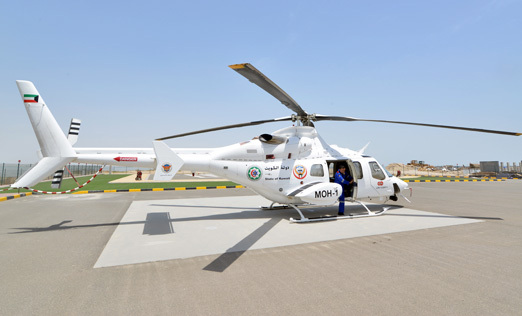 The air ambulance project offers following services: Emergency medical teams, medical equipment and ground transport with state-of-the-art advanced cardiac life support systems. Emergency medical teams, medical equipment and ground transport with state-of-the-art advanced cardiac life support systems. © 2018 Falghanim , All rights reserved.